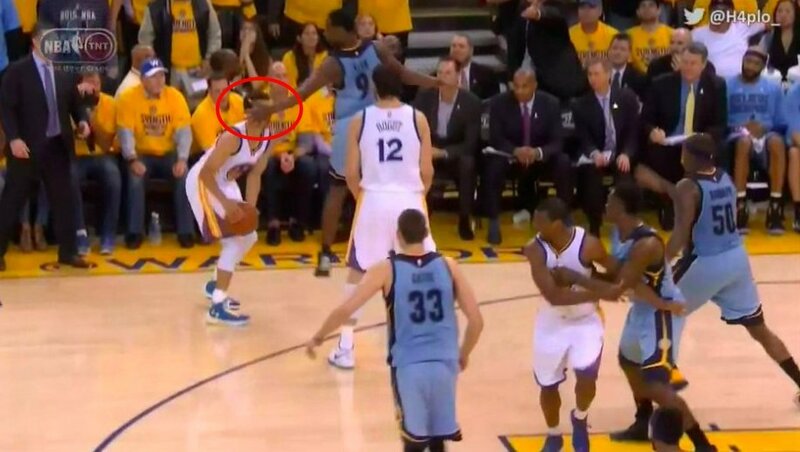 Tony Allen of the the Memphis Grizzlies loves few things more than bothering the best offensive players in the NBA. And on Tuesday against the Golden State Warriors, he took that love to a level that was impressive even by Tony Allen’s standards. In Game 2 against the Warriors, a game his Grizzlies would eventually win, 97-90, Allen stuck his hand right in front of Stephen Curry’s face as he flew by the newly minted MVP, all without ever touching him or getting called for a foul. It actually looks quite mesmerizing on loop. Seriously, look how close he gets. Allen lives for these moments, and he loves backing up statements like “[Curry] ain't nothing I ain't never seen before” on the court. And he loves to remind people after a steal that, yes, he’s made the NBA’s “first team all defense” before. He deserves to gloat. Do you know another player in the league who is willing to literally throw themselves into a basketball for his team? Never change, Tony. Never change.